Our philosophy has always been to have an environment-friendly agriculture so as to protect and respect the territory around us. So, considering the steep slopes typical of our splendid hills where the Sartarelli wines are produced, we keep natural grassing in all our vineyards. This is done not only to avoid soil erosion but also to maintain a good level of organic substance, which means that we have good timing and when necessary we can intervene in the vineyards at any time of the year. 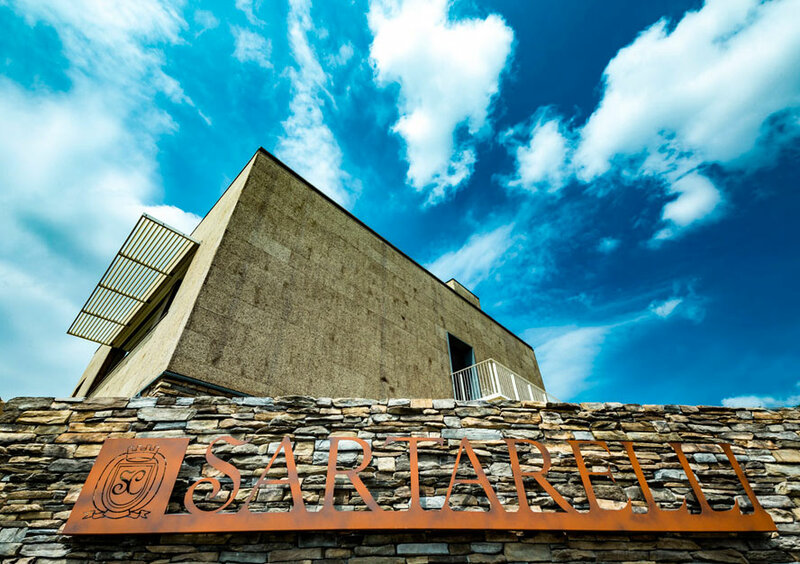 During the solar year there are several activities which are fundamental for the production of the Sartarelli wines. From December to March pruning is usually carried out exclusively by hand and by calculating the right number of buds (about 30.000 per hectare). The care taken during this phase means that we do not have to proceed with the thinning out in Summer as used to be done in the past. This is very beneficial for the vines, because with a well-balanced load of production they do not have to face vegetative stress. From the end of April to the end of June it is time for green pruning. 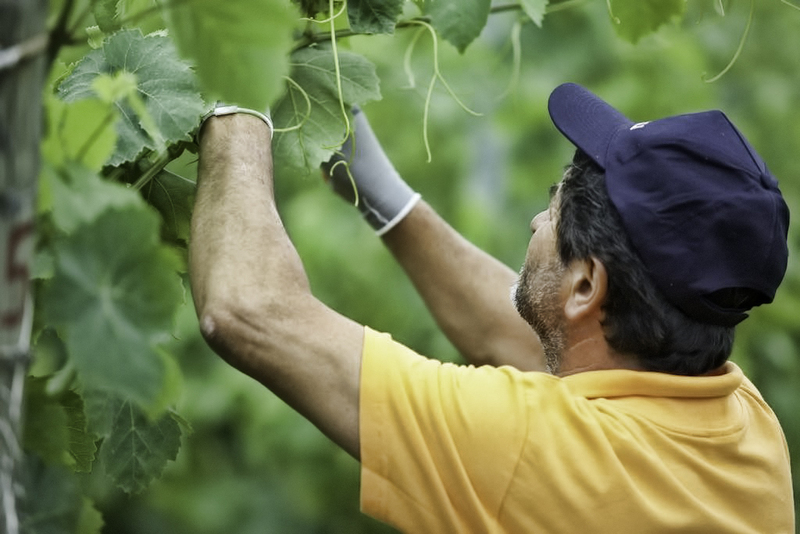 Green pruning is also strictly carried out by hand with the objective of selecting the best productive buds and of correctly ventilating the grape bunches. During Spring and Summer we do specific phytosanitary preventive treatments in order to fight vine and grape diseases. Before proceeding we constantly observe the vineyards and always take into consideration the climatic data. We then evaluate if we effectively need these treatments. In this way we have been able to reduce the number of treatments required by using a low dosage of products with the smallest possible impact on the environment. From the middle of June to the beginning of August, depending on how ripe the grape bunches are, the vine leaves are trimmed by machines. Even in this phase we always try to carry out treatments without being too aggressive and try to get a good vegetative balance needed for a quality production like ours.